Situated in a rural location, this bed & breakfast is within 12 mi (20 km) of Vatra Moldovita Monastery, Dragos Voda Statue, and Church of the Assumption Orthodox Cathedral. Wood Art Museum and Voronet Monastery are also within 12 mi (20 km). Situated in Vama, this bed & breakfast is within 12 mi (20 km) of Dragos Voda Statue, Church of the Assumption Orthodox Cathedral, and Wood Art Museum. Vatra Moldovita Monastery is 9.7 mi (15.6 km) away. Situated in Manastirea Humorului, this pension is 2.3 mi (3.7 km) from Humor Monastery and 8.3 mi (13.4 km) from Voronet Monastery. Mina de Sare Cacica is 16.5 mi (26.5 km) away. Located in the heart of Gura Humorului, this hotel is 3.3 mi (5.4 km) from Voronet Monastery and within 12 mi (20 km) of Humor Monastery and Mina de Sare Cacica. Vatra Moldovita Monastery and Dragos Voda Statue are also within 25 mi (40 km). How Much is a Hotel Room in Vama? Hotels in Vama start at $61 per night. Prices and availability subject to change. Additional terms may apply. Travelers to Eastern Romania will learn there's just 1 lodging option within a short drive of central Vama, so you should look into securing a place to stay as far in advance as you can. The Casa Elvira - Bed & Breakfast is a great option for your stay because it is one of the most ideally located hotels, one of just a few options within a short walk of the Vama downtown precinct. 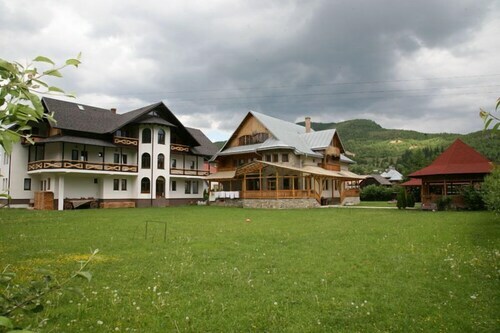 You could investigate the Best Western Bucovina-club De Munte and the Hilde's Residence - Guest House. 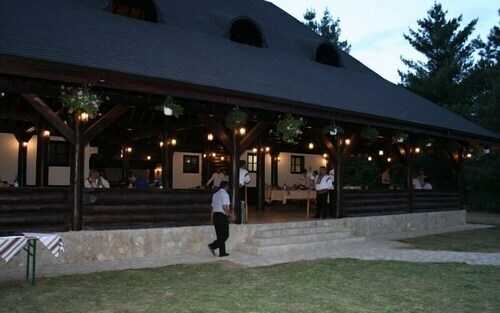 The Best Western Bucovina-club De Munte is located 9 miles (14 kilometers) from the town center of Vama. 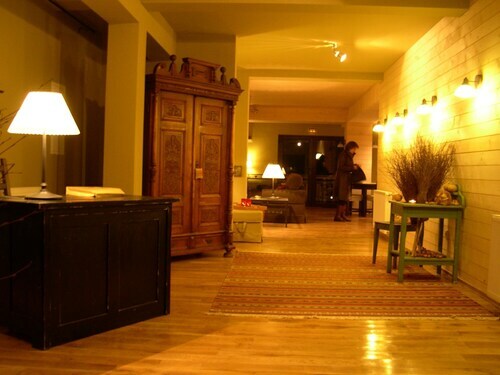 The Hilde's Residence - Guest House, can be found 8 miles (13 kilometers) away. More hotel and apartment options in this area are the Pensiunea Casa Humor and the Pension Memory. After you have seen Vama, put aside some time to discover the varied cultural and natural attractions of the Eastern Romania area. Admire the terrain of Eastern Romania's forests, rivers, streams and lakes. You could also explore its old towns, fortresses and historic palaces. In this corner of Romania adventurous visitors may also try their hand at skiing. When you are in Eastern Romania, you can stop by the Suceava Fortress and stay a while in Suceava, which is 25 miles (43 kilometers) to the east of the heart of Vama. 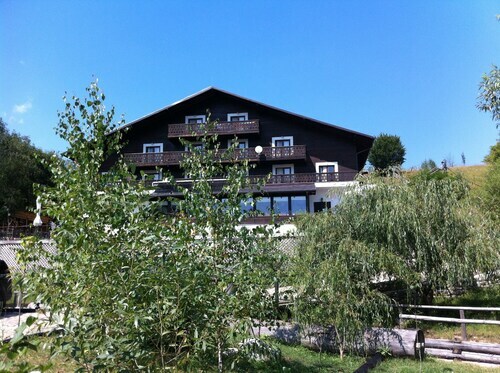 Choose out of the Hotel Sonnenhof and Hotel Scorpion. After you have read about the Travelocity-listed hotels and apartments in Vama, take the time to read through Travelocity's Vama regional guide for the inside scoop on scenic, cultural and social delights here.